Black and White – African Style! Today’s – rather quite – evening game drive ended with a very special crescendo. Within a few hundred meters/yards of one another we spotted a Black Rhino mum with her calf and a White Rhino mum with her youngster. Black and White – African Style – A true Thanda moment! 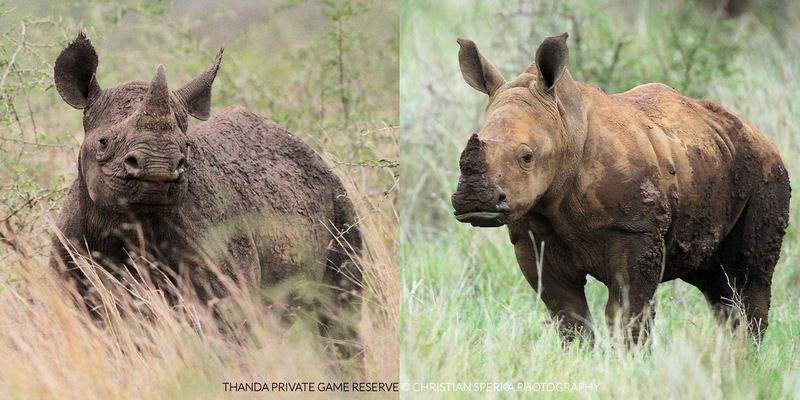 The picture collage shows both young Rhinos.